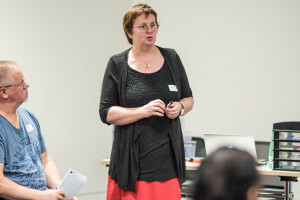 Leading lean and agile expert Liz Keogh returns to Skills Matter to discuss Cynefin. Come along and find out how to spot uncertainty on projects and in our lives, why it's important, how to handle it, and which kinds of problems to tackle first - and maybe your world will start to make sense too! We know that just blindly running into a project is wrong, so we need at least a little analysis. And we know that we're unlikely to get everything right, so we need at least a little feedback. But how much? Should we treat every requirement in the same way? Or are there ways of handling different types of requirements differently, and if so, how do we identify them? Meet Cynefin, a sense-making framework which can help us answer these questions. Find out how to spot uncertainty on projects and in our lives, why it's important, how to handle it, and which kinds of problems to tackle first.